Self explanatory. A place to discuss all things with wheels, wot go quick. I know that some people on this forum might not know much about the various forms of motorsport that exist. I have never liked this being a barrier to the sport. So, with this in mind, see below for some quick definitions of the most popular or world renowned racing series. If you are not sure about something, just ask. Formula 1 (also know as Formula One or F1) is the highest class of single-seater car racing that is sanctioned by the Fédération Internationale de l'Automobile (FIA). The FIA Formula One World Championship has been the premier form of racing since the inaugural season in 1950. The "formula", designated in the name, refers to a set of rules, to which all participants' cars must conform. The F1 season consists of a series of races that are held worldwide, on purpose-built circuits and public roads. The GP2 Series is a form of open wheel motor racing introduced in 2005 following the discontinuation of the long-term Formula 1 feeder series, Formula 3000. Designed to make racing affordable for the teams and to make it the perfect training ground for life in Formula 1, GP2 has made it mandatory for all of the teams to use the same chassis, engine and tyre supplier so that true driver ability is reflected. The GP3 Series is a single seater motor racing series launched in 2010 as a feeder series for the GP2 Series. GP3 follows the entire European leg of the Formula 1 series and the GP2 series as a support race for the two. Like GP2, GP3 teams are mandated to use a standard chassis, engine and tyre supplier. The IndyCar Series is the premier level of open wheel racing in North America. 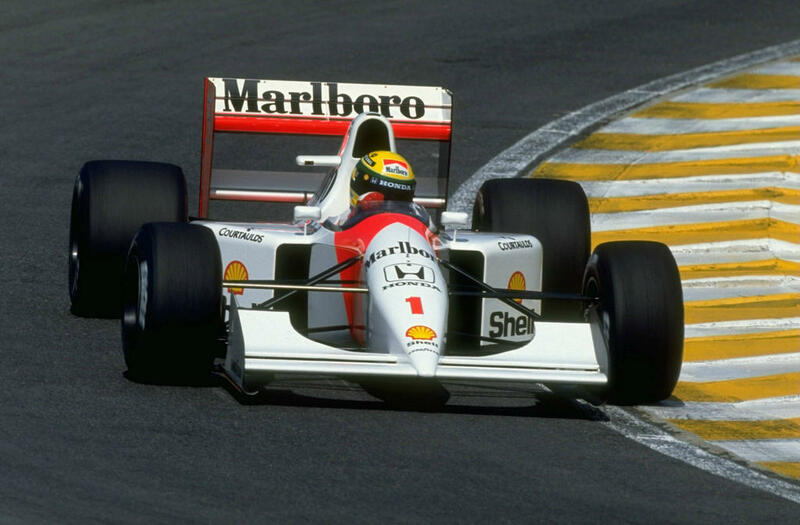 Its parent company began in 1996 as a competitor to CART, known as the Indy Racing League (IRL). In 2008, the IRL merged with the Champ Car World Series (formerly CART). The Indycar Series races on a mix of road and oval circuits. The seasons includes the world famous Indianapolis 500 race. The MotoGP is the premier class of motorcycle road racing that is sanctioned by the Fédération Internationale de Motocyclisme (FIM). Grand Prix motorcycles are purpose-built racing machines that are neither available for purchase by the general public nor able to be ridden legally on public roads. The championship is currently divided into three classes: MotoGP (1000cc), Moto2 (600cc) and Moto3 (250cc). All three classes use four-stroke engines. The British Superbike Championship (also known as BSB) is the leading road racing superbike championship in the United Kingdom, and is widely acknowledged as the premier domestic superbike racing series in the world. The BSB employs highly modified versions of production 'Superbike' motorcycles that can be bought and ridden on the road, as captured by the slogan "Win on Sunday; Sell on Monday". The BSB typically races over twelve rounds, concluding in a three-round 'Showdown', in which only the top 6 riders can compete for the overall championship win. Last edited by DapperChewie on Tue Sep 06, 2016 9:26 pm, edited 21 times in total. Amazing finish to the Indycar race in Texas, a few nights ago. CrispyRowe wrote: I'll take your word for it. "Something, something, pizza-pasta, we've still got the Grand Prix, huzzah. #Ferrari"
Felipe Massa will retire at the end of 2016. Button to Williams? DapperChewie wrote: "Something, something, pizza-pasta, we've still got the Grand Prix, huzzah. 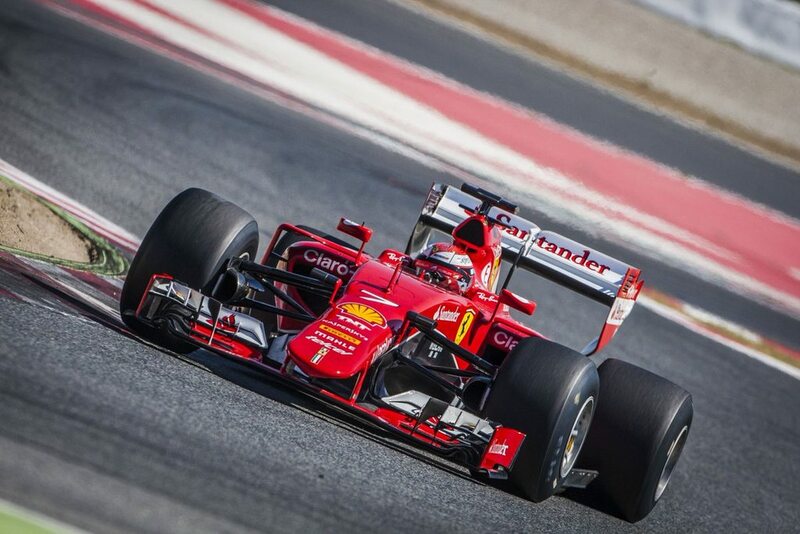 #Ferrari"
It's time for the Italian Grand Prix at Monza! ...and Free Practice 2. McLaren and Haas looking stronger this weekend. 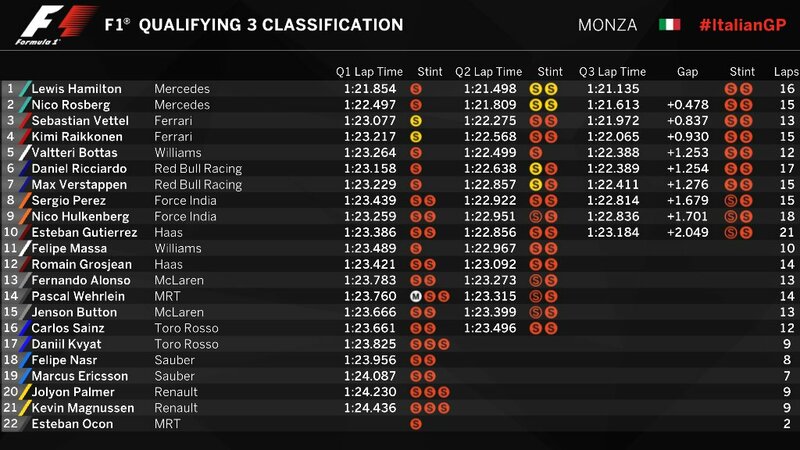 Mercedes engined Manors might get out of Q1 on Saturday? ....and FP3. Qualifying is live, now! CrispyRowe wrote: Hamilton P1. Woo! Well, that race was unexpectedly boring. Singapore in two weeks! Get the popcorn, gents. The plot thickens - the FIA's stake in F1 may attract the attention of the European Commission as they appear likely to receive ~$100m, in any situation where CVC sells its shares. This is despite saying to the EC in 2001 that they sold all their rights, in respect of F1, in order to prevent a conflict of interest. Equally, under contract, the FIA could also block the sale of F1. Forbes wrote: The FIA paid $458,197.34 for the stake but it is now worth around $91 million according to the latest estimate which values Delta Topco at $9.1 billion according to British newspaper the Daily Telegraph. In summary, if CVC sells its stake in Delta Topco the FIA could be forced to sell its shares too. Alternatively, the FIA may decide to sell its shares at the same time and it is entitled to do so. Either option would lead to the FIA getting a windfall of as much as $91 million and this could put the sale on the radar of lawmakers at the European Commission (EC). On the face of it, the 1% shareholding may seem to be a breach of this agreement but the EC has not publicly objected since the stake was transferred three years ago so presumably it is happy for the FIA to own shares in F1. However, benefiting financially from the shares to the tune of nearly $100 million could be a different matter and it remains to be seen whether the EC would be happy for the FIA to do this. The letter was written after several teams in Ms Dodds’ local area crashed into administration, the British equivalent of Chapter 11 bankruptcy. She claimed that their demise was driven by F1’s prize money distribution, which favours the biggest outfits, and this led her to look into allegations of anti-competition in the series. If the EC is happy for the FIA to own the 1% of Delta Topco but not happy for it to benefit financially from it then it could perhaps spark an investigation if the stake is sold when CVC sells its shares. The EC isn’t just keeping a close eye on this situation because of the letter from Ms Dodds. Since she sent it, two teams, Sauber and Force India, have made a formal complaint to the EC, which is currently being assessed, about alleged anti-competition in F1. If the EC decides to launch a formal investigation into F1 it could tear up the commercial contracts with the teams which commit them to the series and underpin its business model. It presents a significant risk to Liberty, especially as the aftermath of a takeover often sees litigation from parties claiming damages under the previous owners. Similarly, as Britain’s Independent newspaper revealed, F1’s previous parent company was sued for $293 million over a disputed loan just four months after CVC’s takeover went through in 2006. However, this is just the tip of the iceberg when it comes to the legal hurdle that Liberty could face if it attempts to take over F1. No, these aren't Photoshopped. Next year's wider fronts/rears being tested. Regressing, but in a cool way.